“As technology has evolved, so have identity thieves. Today’s thieves are more equipped than ever to go around safeguards and steal your credit information,” said Attorney General Rosenblum. “It is essential that the FTC not only keep this rule on the books, but also update it to reflect the way we communicate today. Things were pretty different in 2007,” said Attorney General Rosenblum. The current rules require certain financial institutions and businesses that grant credit or issue debit or credit cards to take steps to detect, prevent and mitigate identify theft by implementing reasonable safeguards. But, the letter suggests adding to the rule a requirement that credit card holders must be notified by email or cell phone at both the old and new numbers if an email address or cell phone number in their account is changed. The Attorneys General also ask that suspicious account activity include account access by new and previously unknown devices and repeated unsuccessful access attempts. 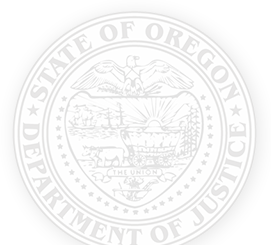 Attorney General Rosenblum led the letter, which was also signed by the attorneys general of Alaska, California, Colorado, Connecticut, District of Columbia, Delaware, Hawaii, Iowa, Illinois, Kentucky, Massachusetts, Maryland, Maine, Michigan, Minnesota, Missouri, North Carolina, Nebraska, New Jersey, New Mexico, Nevada, Oklahoma, Pennsylvania, Rhode Island, Tennessee, Utah, Virginia, Vermont, Washington, and Wisconsin.